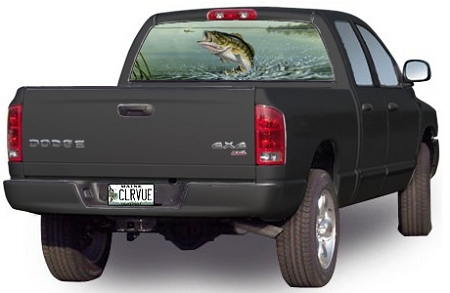 Windowscapes are a great way to personalize and customize your vehicle. Boldly declare your personal ideals and artistic expressions with the multiple possibilities offered from Backwoods Brand. These durable and long lasting rear window graphics feature micro-perforated vinyl which has approximately 70% material and 30% holes. Lighting is what makes the window canvas come to life and expose the vivid colors and photographic clarity. The reflection of light off the image provides the illusion of a solid image, the holes don't appear at all to the naked eye. On the backside the black adhesive absorbs the light and makes the vinyl material see-thru from the inside of your vehicle. Printed on premium material to the highest standards to ensure there will be no discoloring or fading. Made in the U.S.A.